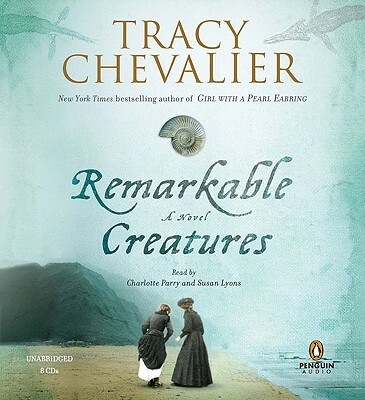 A voyage of discoveries, a meeting of two remarkable women, and an extraordinary time and place enrich bestselling author, Tracy Chevalier's enthralling new novel. "I was born and grew up in Washington, DC. After getting a BA in English from Oberlin College (Ohio), I moved to London, England in 1984. I intended to stay 6 months; I'm still here. "As a kid I'd often said I wanted to be a writer because I loved books and wanted to be associated with them. I wrote the odd story in high school, but it was only in my twenties that I started writing 'real' stories, at night and on weekends. Sometimes I wrote a story in a couple evenings; other times it took me a whole year to complete one. "Once I took a night class in creative writing, and a story I'd written for it was published in a London-based magazine called Fiction. I was thrilled, even though the magazine folded 4 months later. I worked as a reference book editor for several years until 1993 when I left my job and did a year-long MA in creative writing at the University of East Anglia in Norwich (England). My tutors were the English novelists Malcolm Bradbury and Rose Tremain. For the first time in my life I was expected to write every day, and I found I liked it. I also finally had an idea I considered 'big' enough to fill a novel. I began The Virgin Blue during that year, and continued it once the course was over, juggling writing with freelance editing. "An agent is essential to getting published. I found my agent Jonny Geller through dumb luck and good timing. A friend from the MA course had just signed on with him and I sent my manuscript of The Virgin Blue mentioning my friend's name. Jonny was just starting as an agent and needed me as much as I needed him. Since then he's become a highly respected agent in the UK and I've gone along for the ride."